Home / STORE / Hearts / Red Star Stitch Heart. 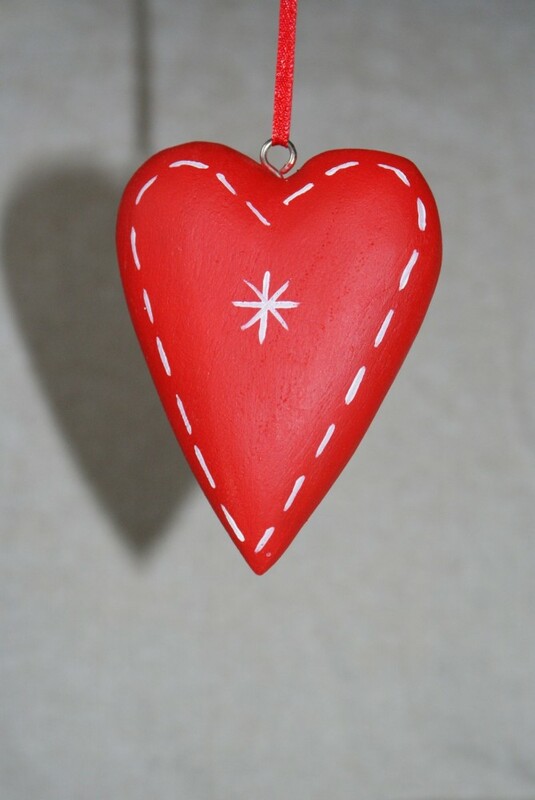 Hanging from ribbon these surprisingly light red wooden hearts are decorated with a running stitch pattern around the edge and a star stitch pattern in the centre on both sides. Approx 5 x 10.5cm, thickness 33mm.